For many of us, when something happens to our physical or mental health we might initially feel like our world as we know it is over. But what if those diseases, sicknesses, states of mind, injury or illness is actually a ticket to travelling in the right direction? To improving our health, our state of wellbeing and fulfilling our destiny? 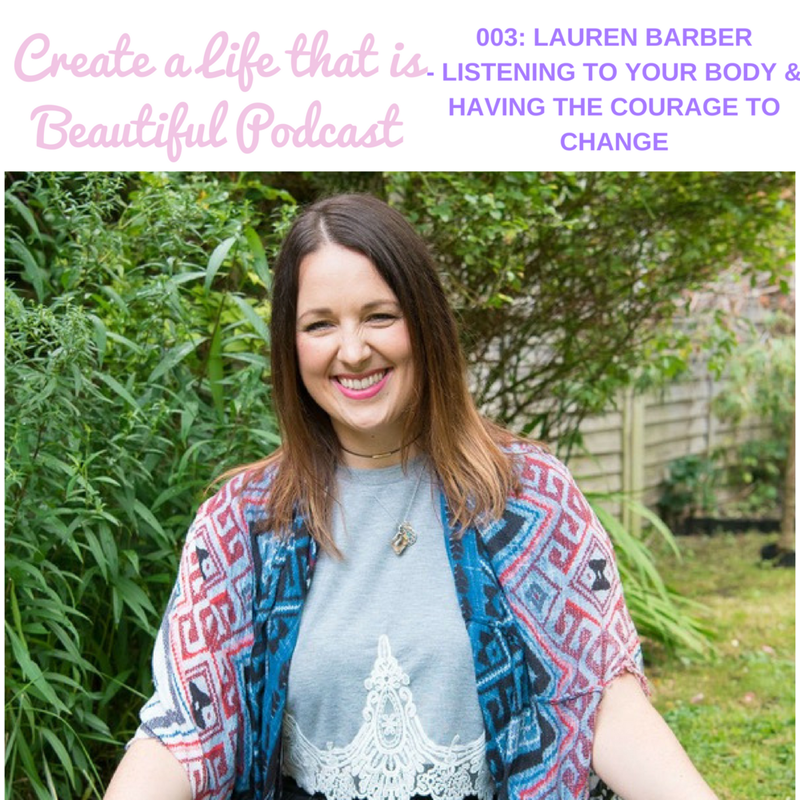 In this episode of the Create a Life that is Beautiful Podcast, we are speaking to my amazing friend Lauren Barber who is an empowerment coach, yoga teacher, business mentor and wellbeing expert. Lauren began her career working in PR before shifting into the coaching, wellness, yoga (and most recently meditation) space! I first met Lauren late in 2017 when I attended her Soulful Business workshop at The Goddess Space in London. I was so impressed with her wonderful ability to bring soul and spirituality to how I approach and support the running of my business! We were able to have an open and frank conversation about my business intentions in a loving, heart-centred and purposeful way. Since that beautiful evening, Lauren has shown up for me time and time again, supporting me on my own business journey and providing a safe online space via her Facebook Group Awaken Your Inner Creatrix for women to connect to and express their true essence in either their everyday life or business. Lauren's advice for someone getting started on the journey of discovering their truth & purpose.